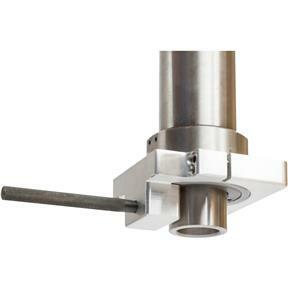 This Spindle Brake locks the G0704 Mill/Drill spindle to free up both hands, making tool changes fast and convenient. 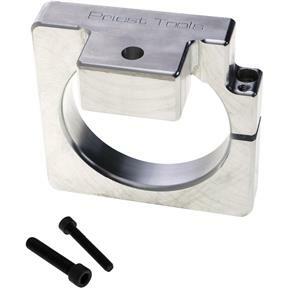 It also enables one-handed loosening and tightening of tool-less chucks. After the tool change is complete, simply remove the pin and you’re ready to go. Made in the USA by Priest Tools and machined to exacting specifications out of 6061-T6511 Aluminum. Requires no modifications to the mill/drill to install. It works. The locking pin arrangement is a bit crude. You have to remove it and install it when you want to use it. I modified it a bit, and am much happier. I made a pin to fit in the hole with a stop on the outer end. Put a spring between the stop and the body of the tool. Drilled into the body of the tool, slotted the new pin, and installed a pin in the body of the tool which allows the locking pin to travel in far enough to engage with the quill, but will retract out of the way. Bought this along with my G0759 mill/drill, easy to install and I use it every time I'm using the machine. Glad I bought this from the get go. 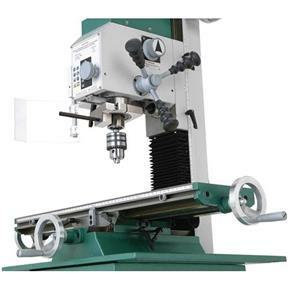 I should have bought it when I purchased this great small milling machine. The brake is beautifully machined and fits perfectly. Helps to avoid sliced hands and fingers.